We are pleased to announce that the Call for Contributions for iPRES2019 is now open! We invite original contributions that describe practice- and theory-informed approaches to scientific models, daily practice, collaborative efforts, creative solutions, and the progress your organization has made in digital preservation. We welcome full papers and short papers as well as proposals for workshops, tutorials, posters, panel discussions and for a hackathon. Your submissions should relate to the overall conference theme, Eye on the Horizon, describing the cutting edge of our domain and crossing into other domains. We encourage submissions which describe collaborations across and beyond cultural heritage domains, and we welcome proposals that describe research and practice in agencies of all sizes and in all sectors. You can find details about the submission process and the topics of interest on the Call for Contribution page. Please remember this Call will close on 18 March, 2019. We will keep you informed on all the important dates via this website. Please pre-register for the iPRES Newsletter if you want us to send you regular updates on what’s happening on the iPRES2019 front. 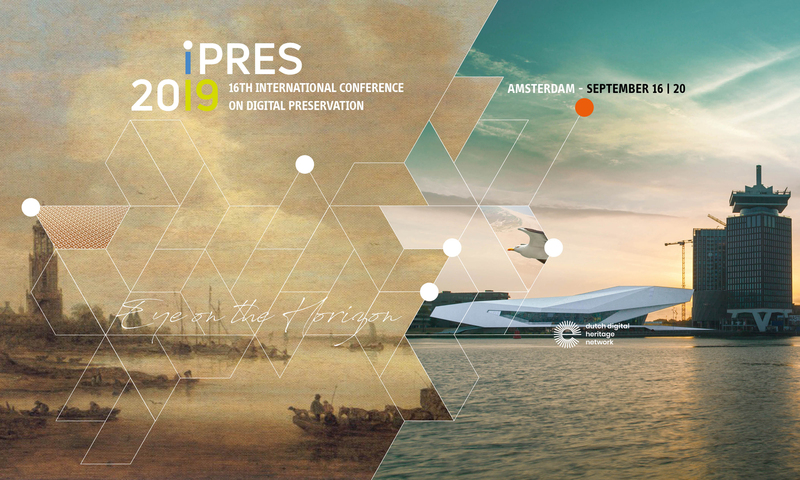 You can also follow us via @iPRES2019 on both Twitter and Instagram. Questions? Let us know via info@ipres2019.org or contact one of the Programme Committee Chairs directly.